The oil milling process involves a variety of steps that take place within an oil processing plant which eventually produce edible or crude oil. One of the most important steps in the processing of oil is the solvent extraction stage which involves the removal of majority of the oil within the seed. The solvent extraction method for a different seeds varies but the final objective is for most of the oil to be removed and used for its intended purpose. Some seeds that have to go through the solvent extraction method must be prepared beforehand while for others whose oil content is high, the pre-pressing cakes are used. The solvents that are used in this process are usually a byproduct of petroleum, mainly hexane which is the one commonly used. Since solvent extraction is an important step in the production of oil, there is a general method that has been adopted by oil milling plants to ensure that the oil is completely removed. However, this solvent extraction method may be customized depending on the needs of the milling plant and their desired output. The first step in the solvent extraction method involves the preparation of the seeds such as pre-pressing for seeds that have high oil content. The next step is extracting oil from the seeds that have been prepared by using a solvent that has passed the food grade test. When the seeds have most of the oil removed from them, the next step is desolventising which involves cooling as well as drying of the seeds. 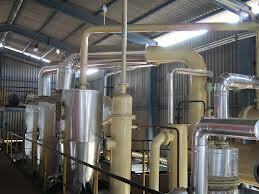 When this is done, the oil has to be distilled to eliminate the solvent that was used in the extraction process. Lastly, the solvent can be recovered to be used in the extraction for as many times as it is needed. This entry was posted in Solvent extraction. Bookmark the permalink.